The Olin Arts Center’s new music series, BatesDowntown, continues with music by J.S. Bach and Beethoven, performed by violinist Dean Stein and pianist Chiharu Naruse at 5 p.m. Friday, Feb. 3. BatesDowntown concerts take place at 22 Park St. (the former Maple Room) and are open to the public at no cost. For more information, please contact 207-786-6135 or olinarts@bates.edu. Stein has performed throughout the world with orchestras, chamber music ensembles and as soloist. He is particularly well-known from his work with a previous incarnation of the Maine-based DaPonte String Quartet. Stein now appears with the Atlantic Piano Trio and is concertmaster of the Maine Music Society. With oboist Kathleen McNerney, he founded the VentiCordi (“winds and strings”) music festival in Kennebunk in 2009. Since 2003, he has directed the historic Arcady Music Festival in Bar Harbor. He is on the faculty of Bates and Bowdoin colleges and has taught at New England Conservatory’s Preparatory Division, the University of North Carolina at Greensboro, the University of Maryland at College Park and the New England Suzuki Institute. Naruse holds master’s degrees in music performance and music instruction from the Hochschule für Musik Hanns Eisler in Berlin. She has performed throughout the world in recitals and piano competitions including the Hyogo Piano Competition in Japan (silver prize) and the International Mozart Wettbewerb in Salzburg, Austria. In 2002, Naruse moved to the United States to study under Frank Glazer, the renowned pianist and artist in residence at Bates. 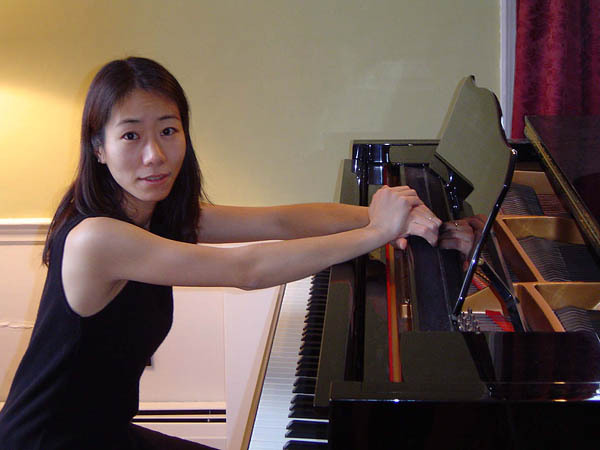 She has performed solo recitals at Bates and the University of Maine campuses in Farmington and Augusta; played concerts with Glazer, the Portland String Quartet and the DaPonte quartet; performed piano concertos by Beethoven, Mozart and Rachmaninoff with the Augusta Symphony; and recently concluded concert tours of France and Japan. Naruse is a member of the applied music faculties at Bates, the University of Maine at Farmington, the Portland Conservatory of Music and the Bay Chamber School, and has a teaching studio in Hallowell.